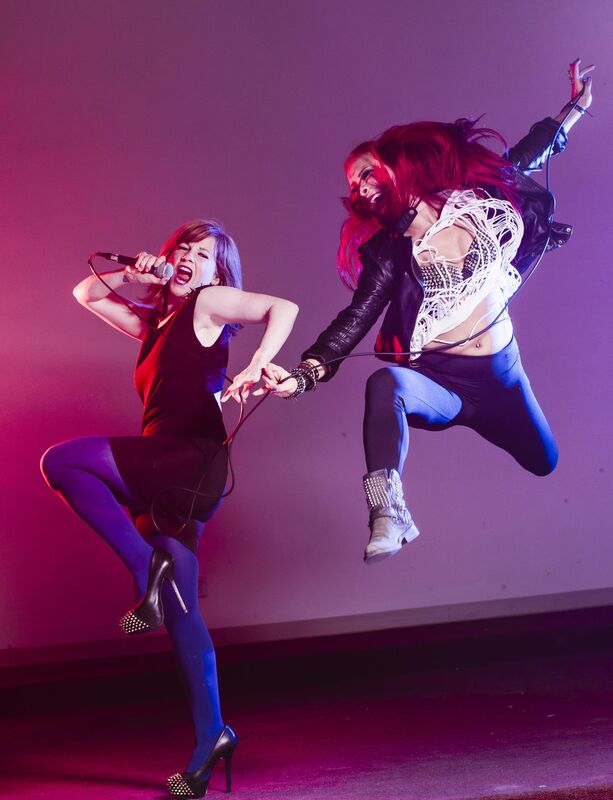 Anchorage's Pulse Dance Co. and indie rock band The Modern Savage are joining forces for a show opening Friday that's one part classical and one part rock 'n' roll. The dance company's season seven finale concert at Alaska Pacific University starts out with a modern take on Igor Stravinsky's 1913 "The Rite of Spring" and then jumps to the late '60s/early '70s for a 40-minute set of energetic dancing to Led Zeppelin hits performed live. 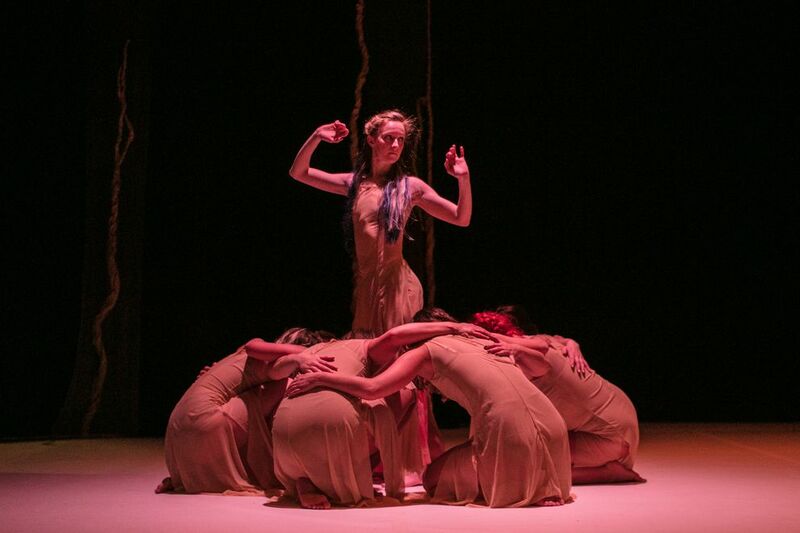 Stephanie Wonchala, executive director of Pulse Dance Co., said "Rite of Spring" appealed to her partially because of the ballet score's controversial premiere in Paris more than 100 years ago. "In addition to the outrageous costumes, unusual choreography and bizarre story of pagan sacrifice, Stravinsky's musical innovations tested the patience of the audience to the fullest," an NPR article about the piece's debut says. The music of "Rite of Spring" is incredibly difficult to count, said one of the dancers in the piece after a run-through of the two-part show earlier this month. "It's a tough piece of music. It certainly is," Wonchala said. "But I think it's been a really great opportunity for me to grow both musically and as a choreographer and as a dancer and for the dancers to figure out how to work with this kind of music." Wonchala's choreography for "Rite" is modern with a primal feel and is a nod to the original in that "someone's gotta die," she said. Parents should also note that there's some revealing costuming in part of the piece that probably makes it a 13-and-up show, Wonchala said. For the second half, Wonchala and her dancers leap forward several decades with help from The Modern Savage. The band is busy promoting the recent release of their second full-length album, "Unwilling Participants," when they're not rehearsing Led Zeppelin songs. Wonchala said she already had a "feel-good relationship" with Led Zeppelin's music, but the idea for the rock concert half of the show, called "Stairway," started to come together after Wonchala saw female-fronted Modern Savage perform. "There was one particular night at the Tap Root where I was sitting at a table in the corner and Jenni (May Toro) was just like wailing and I thought, 'I really wanna work with these guys,' " Wonchala recalled. About two years later she met for coffee with Toro, The Modern Savage's lead singer, and drummer David Devlin. Wonchala nervously proposed her idea of a collaboration. It turned out she had nothing to worry about. "It was perfect timing because earlier that year we were deciding that we wanted to break out of our normal bar scene or just hosting a general rock event," Devlin said. "We wanted to collaborate in the community more. And I think within the same month Stephanie reached out to us and was like 'hey, we got this idea.' And we were like perfect, because that is where we wanted to be focusing our efforts." "Stairway" isn't the only instance where Pulse and The Modern Savage have collaborated. Pulse dancers appeared in The Modern Savage's video of Interpol cover "Evil," one of the tracks on their new album. The video for another "Unwilling Participants" song, "Pull Me," was recently featured on NPR Music. The national nudge delighted the band, Devlin said, who added that "if all goes well we hope we can play music as our day jobs," he said. "But of course we have other responsibilities too." Performing "Stairway" live with the Pulse dancers is a new sort of responsibility for the band. Trying to capture the essence of legendary Led Zeppelin hasn't been easy. "Stairway" is a change-up for the Pulse dancers too, who say playing with a live band is an added challenge. Wonchala also let some of the dancers in "Stairway" come up with portions of the moves. "I do most of the choreography," she said of Pulse. "But I also want the dancers to be able to work with other choreographers, and we happen to have some really good ones in the company. So I thought this was an excellent opportunity to highlight their talents and their way of moving, which is very different from mine, to make a really well-rounded show." Wearing black boots, tight pants and flowy tops they rehearsed the "Stairway" pieces a recent evening to recordings of The Modern Savage's Zeppelin covers, which highlighted the wide range of Toro's voice. A few days later they'd dance with the band at dress rehearsal and then on opening night. "Stairway" has plenty of hair whips and hip gyrating in the choreography, but also passionate, technical partner work in "Babe I'm Gonna Leave You" and a theatrical flourish with "Stairway to Heaven." "Kashmir" will put the focus on The Modern Savage. Devlin said he and his bandmates will communicate with the dancers throughout the "Stairway" show so it doesn't just feel like a band performing next to dancers. "We're trying to get the band stylistically in the same feel as the dancers and we have a few choreographed points with them and we have interactions," he said. "We're definitely a part of the show." Sitting side by side at a coffee shop last week, Wonchala and Devlin said they aim to reach a range of people through their joint effort. "It's an awesome opportunity for our younger demographic to be a part of something bigger and our older demographic to take a walk down memory lane and rock out with us," Wonchala said. "I think it'll also be a good little eye-opening moment for some of the people in the community who maybe haven't engaged in dance but would have maybe come to a Modern Savage show. Or maybe aren't into the music scene but would have come to a dance performance," Devlin said. "We're spreading awareness of the arts in Anchorage and what we're capable of." When: Friday-Sunday, Feb. 17-19 and Feb. 24-26. Opening weekend features a silent auction and opening night has VIP ticket options.